Journalists will be used to producing different pieces of content for various platforms, but rarely do we see a mix of formats within the same piece. However, with timelapse, gifs, audio, slow motion, video, photos and 360-degree video on our smartphones – literally at our fingertips – reporters are now able to produce a range of content on-the-go, making multimedia storytelling easier than ever. 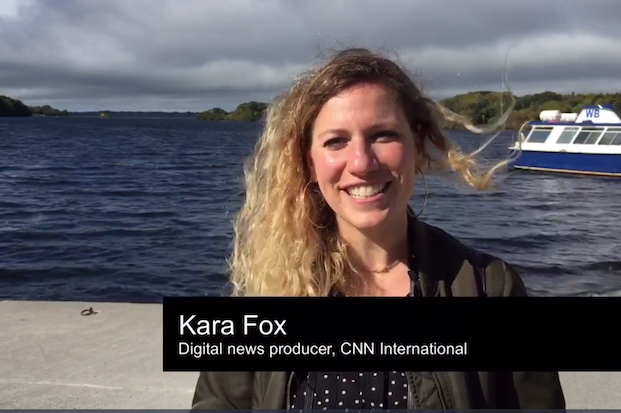 "Our audiences are constantly looking for something new and fresh and we want to keep them engaged," said Kara Fox, digital news producer, CNN International, speaking at MojoFest Tours in Ireland this week. "If they become used to just seeing an image, 300 words of text and a video slapped on top, they know what they're getting – they'll turn off. "But now we have so many mediums to work with, and therefore so many ways to share our message." Fox's work at CNN International has seen her marry photographs with 'moving postcards' in the same piece, breaking longform articles up to create the atmosphere she wants. "It's important to keep the tempo of the piece, transporting your audience into that moment in time, without it being too over-produced," she said. "It's all about experimenting and seeing what works. "Start out by taking a step back and setting the scene – put the camera on and see what happens when you inject movement into your piece." Fox used these techniques in her story surrounding the 1984 killing of Baby John and the investigation by police in County Kerry, Ireland. Audiences are encouraged to anticipate what is coming up as they come across her 'moving postcards' videos and pictures when reading through the story from start to finish. "I wanted to create a lot of atmosphere and tension in the piece to reflect the written story so I worked with a combination of still and moving imagery," she said. Fox explained that different mediums can not only help break up a long article, they can also change the mood of the piece to reflect the twists and turns in a story, taking the reader on a journey. She advised reporters with a little more time to head out to their story without a camera at first, getting to know the details and people involved without shooting. Then they will have a clearer view of the type of multimedia content that will best represent the tone of the piece. Working on an interesting multimedia project? Let us know @journalismnews. Want to learn how to use a smartphone to build social media presence? Book your place on Caroline Scott's training course on 6 November 2018 in London.